The “Cover-To-Cover Artwork Collection” brings you EXODUS by CBJ artist, Hilary Greenwald. 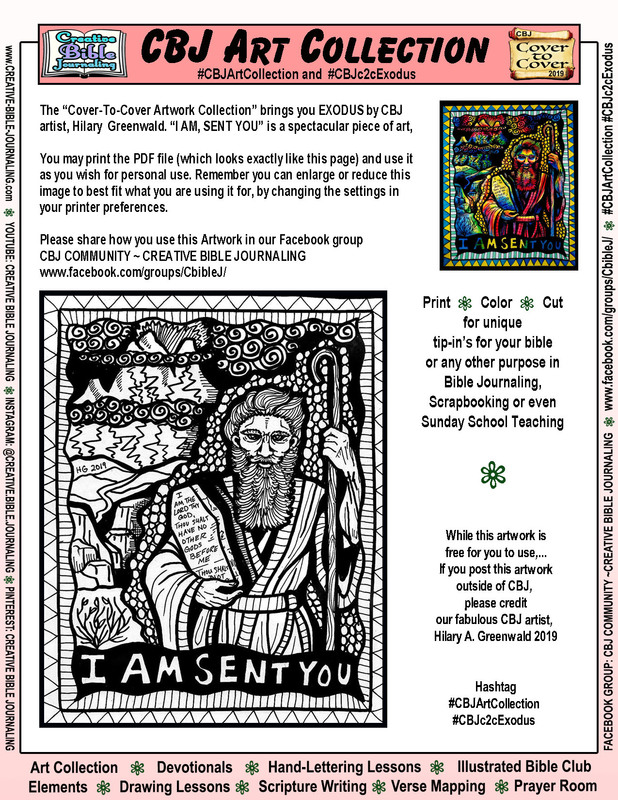 “I AM, SENT YOU” is a spectacular piece of art, You may print the PDF file (which looks exactly like this page) and use it as you wish for personal use. Remember you can enlarge or reduce this image to best fit what you are using it for, by changing the settings in your printer preferences.